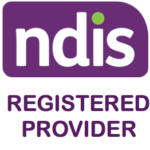 Our services are available for people with a disability through the National Disability Insurance Scheme (NDIS). The National Disability Insurance Scheme is designed to provide individualised support for people with disability, their families and carers. The NDIS aims to give more freedom to choose the disability services that best meet their goals and aspirations. How to access the disability services provided by Sydney Community Services? Do you care for someone living with a disability?